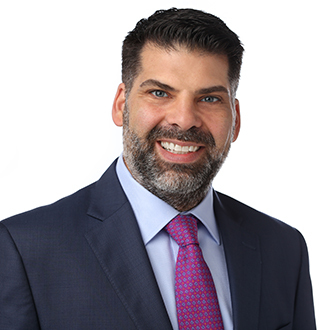 Salvador “Sal” Simao is the Regional Managing Partner for the Northeast and the founder and Managing Partner of Ford Harrison’s New Jersey office. As the chair of the firm’s Wage Hour Practice Group, Sal serves as a strategic partner to several Fortune 500 companies assisting them in managing and reducing Wage Hour related risks. Sal has successfully litigated and provided strategic and creative advice related to various employment matters on a nationwide basis. He is particularly knowledgeable in both federal and state wage and hour concerns and has litigated some of the firm’s most complex wage and hour matters. As a litigator, Sal defends employers on all types of employment matters, with an emphasis on representing employers in wage and hour and equal pay class actions. Earlier in his career, Sal was a Trial Attorney with the Office of the Solicitor of the DOL. During his time with the DOL, he litigated a number of novel and high profile wage and hour cases, including one of the first successful prosecutions related to vertical integration of multiple companies. While at the DOL, Sal won several awards including multiple Secretary Exceptional Achievement Awards and was the youngest attorney at the time to win the Attorney of the Year award. Sal also co-chairs the international practice group of Ius Laboris, the global human resources law firm alliance of which FordHarrison is the sole U.S. member. He also serves on the Board of Directors for the New Jersey Motor Truck Association and has an industry specialization in the logistics and transportation industry. Recently served as lead trial counsel in the US District Court of New Jersey defending a Motor Carrier in a Fair Labor Standards Act lawsuit involving the misclassification of owner operators as independent contractors. Recently served as lead trial counsel in the US District Court of New Jersey defending a motor carrier against a class action brought under the Federal Motor Carrier Safety Act’s truth in leasing regulations. Recently served as lead trial counsel in the US District Court of New Jersey defending a manufacturer against an FLSA claim by asserting the outside sales exemption. Developed a comprehensive color coded system for executives (non-lawyers) to easily assess federal and state liability related to the retention of independent contracts throughout the United States. Recently conducted full wage hour audit of Fortune 100 company. The audit included reviewing classifications of exempt employees and independent contractors, the time and attendance /payroll systems and policies and training materials. Defended a corporation in pay equity class action where on the face on the record the company seemed to discriminate against certain protected classes. Currently representing a corporation which was sued by another corporation for reverse discrimination under §12L of New Jersey's law against discrimination based on the company's diversity and inclusion policies. *Salvador was selected to the Super Lawyers list issued by Thomson Reuters. The selection methodology is found here. No aspect of this advertisement has been approved by the Supreme Court of New Jersey. September 06, 2017 - What Issues May Employers Be Required to Address as Hurricane Irma Threatens? April 13, 2017 - Four FordHarrison Partners Listed in Conjunction with LawDragon's 2017 "Most Powerful Employment Lawyers"
March 16, 2017 - Is it a Gamble for Employers to Permit Office Pools During March Madness? February 14, 2017 - Meal and Rest Breaks – What are the Rules? June 23, 2016 - "The hidden dangers of 'Uberizing' a workforce"
March 18, 2016 - Is it a Gamble for Employers to Permit Office Pools During March Madness? February 04, 2016 - Intercepting Office Pool Liability – What Do Employers Have to Lose by Permitting Super Bowl Related Gambling? February 01, 2016 - "Major Changes Ahead of Millions of Employees and Their Employees"
September 21, 2015 - "Worker-Friendly Rules Keep FLSA Suits At Record Highs"
July 07, 2015 - "Employment Cases to Watch in the 2nd Half of 2015"
May 12, 2015 - "Election 2015: employees' rights to their opinions"
May 23, 2016 - "The DOL's Final Rule Revising Overtime Exemptions is Here. Now what? Everything Employers Need to Know to Comply with Minimal Business Impact"